Hi everyone! Thank you to those of you who entered our giveaway for a Colette Chantilly dress pattern. I really enjoyed reading about your most challenging makes too – it made me feel a whole lot better! It’s easy to assume that everyone who sews finds it easy and never makes mistakes, but it seems even the most experienced seamstresses would be lost without their seam ripper. Anyway, last night I picked a winner! 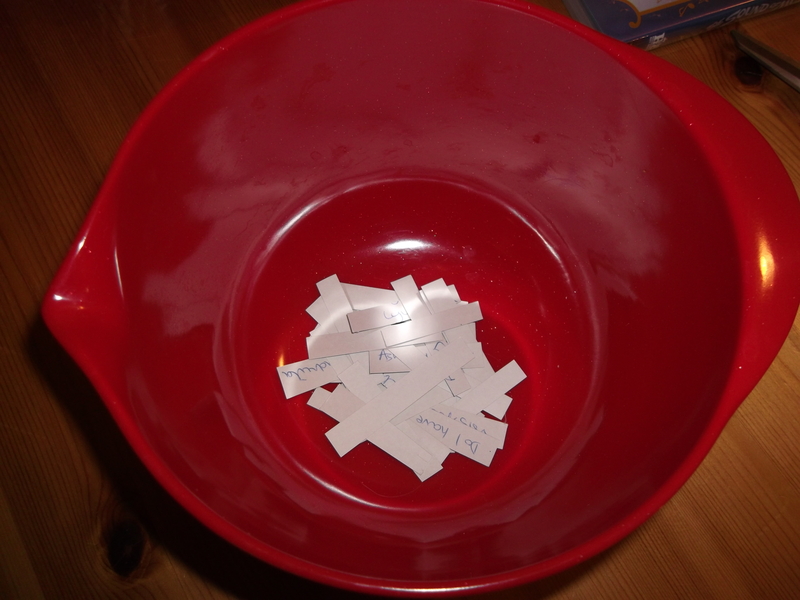 I chose the old method of picking the names out of a hat (well, actually, a melamine mixing bowl) and Mr Tweedie did the honours. 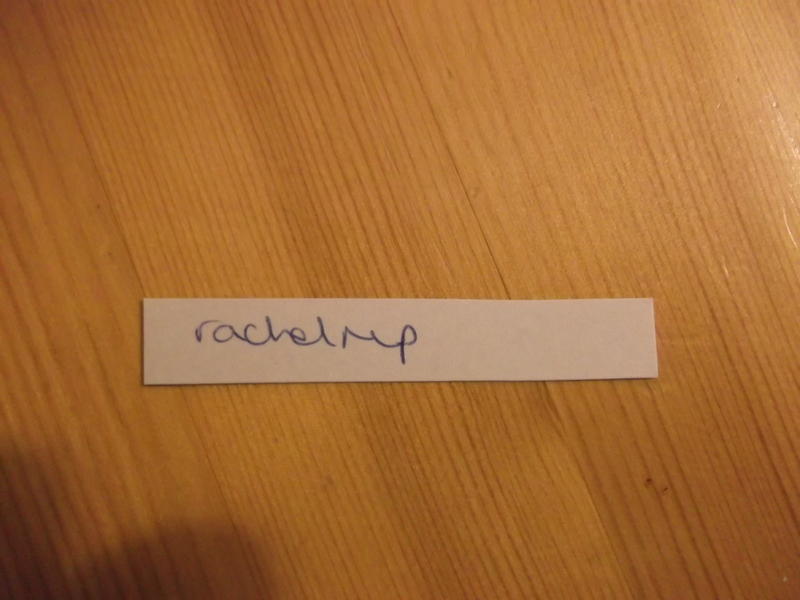 Congratulations, rachelmp! I shall be sending you an email in a few minutes to find out your address. Thanks once again to everyone who entered! 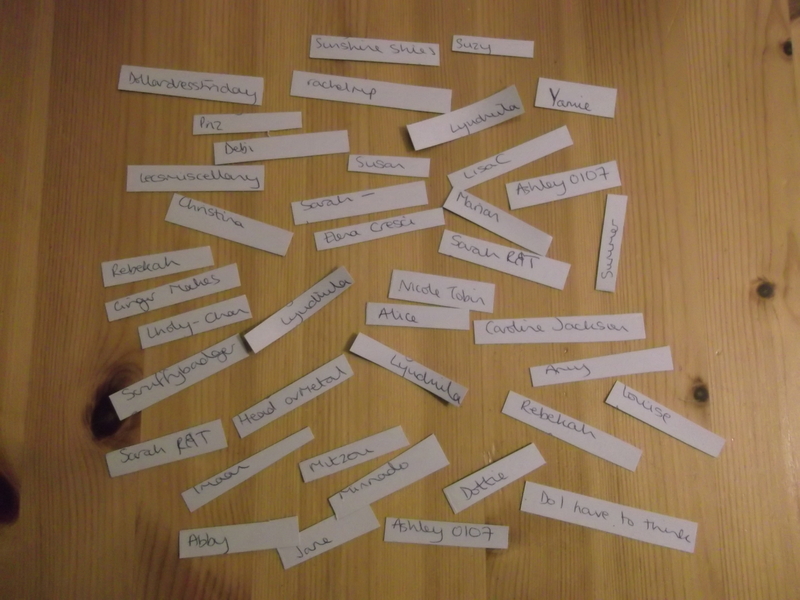 I shall shortly be replying to your comments now that the competition is over. ← Two Colette Chantilly dresses… and a giveaway!